This document describes how to configure an IPsec tunnel between an Aviatrix Gateway and an AWS Virtual Private Gateway (VGW). 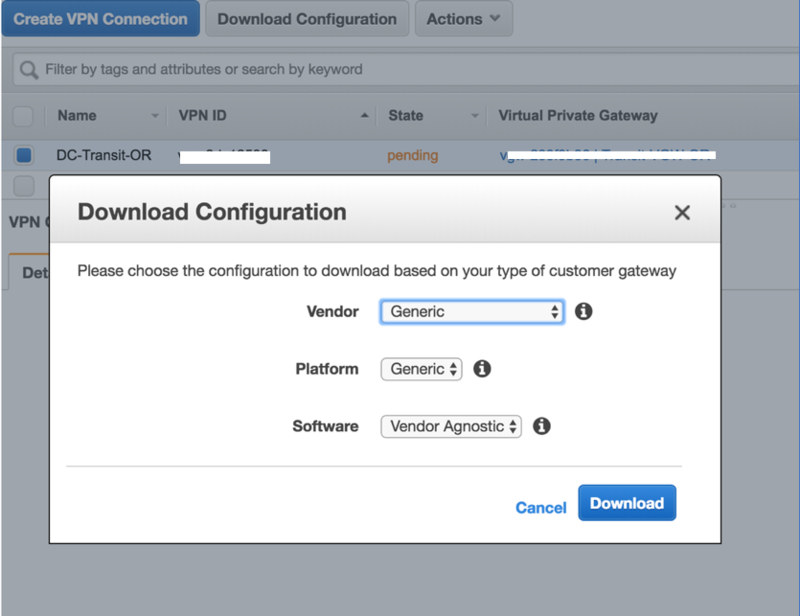 For this use case, we will configure the AWS VGW VPN connection first and then download the configuration from AWS and import it into Aviatrix. You have an Aviatrix Gateway provisioned in a different VPC. You will need this gateway’s public IP address for the steps below. Static IP Prefixes Enter the CIDR(s) of the VPC where the Aviatrix Gateway resides. 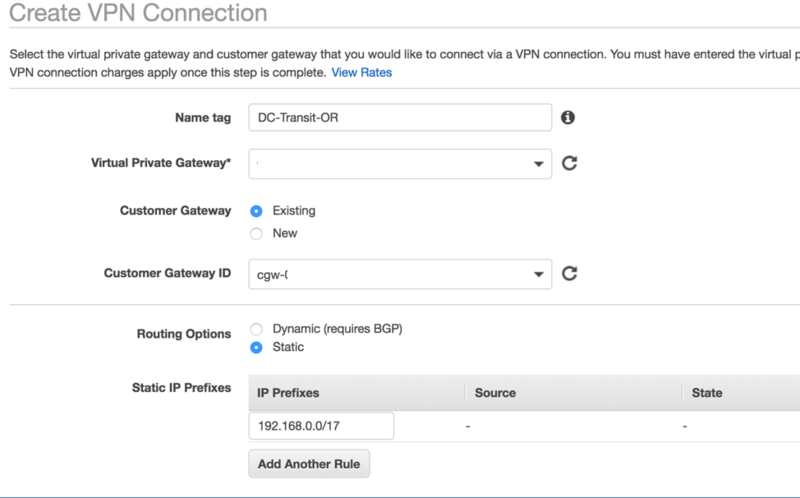 VPC ID/VNet Name Select the Aviatrix Gateway VPC or VNet from the drop down. You can enable HA for Aviatrix site2cloud connection to AWS VGW. Please add following extra steps to the configuration. 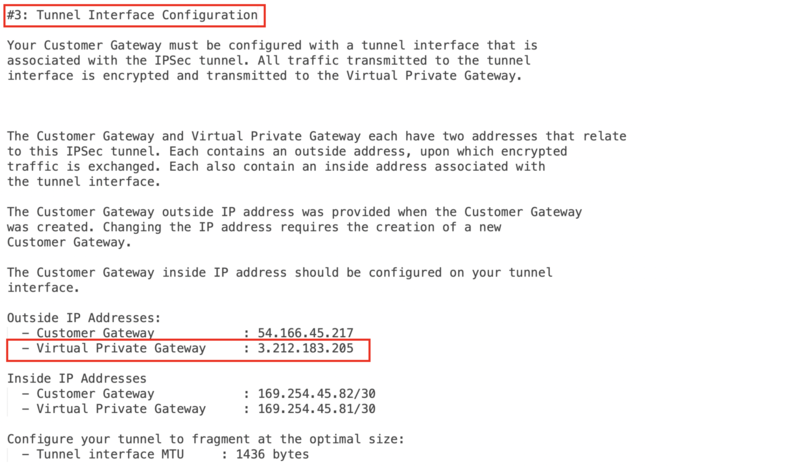 Before creating site2cloud connection, following this guide’s Backup Gateway and Tunnel HA section to create Aviatrix HA gateway in the same VPC. Static IP Prefixes Enter the CIDR(s) of the VPC where the HA Aviatrix Gateway resides. Download Configuration for this new VPN connection just like you did earlier for the primary VPN connection. From Aviatrix Controller UI -> Site2Cloud page, click + Add New, under Add a New Connection, make sure Enable HA is checked. Additional fields are displayed when checked. 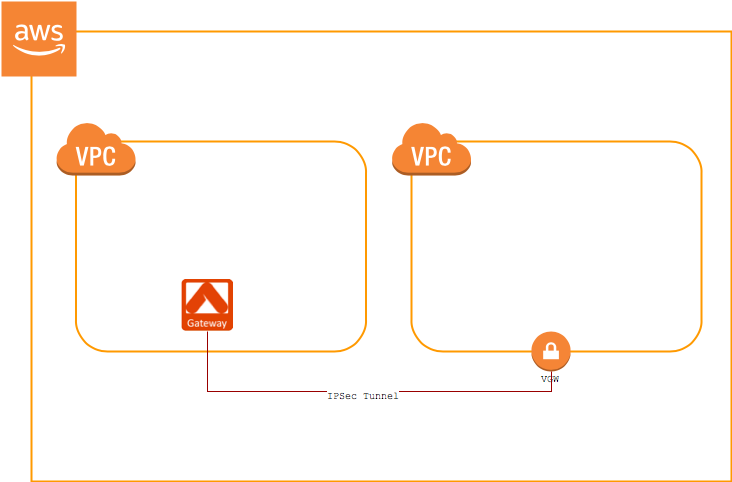 VPN information for backup need to be obtained from the downloaded configuration of AWS VPN connection between VGW and Aviatrix HA Gateway. Follow the same steps you did for primary connection. Other fields should be filled as instructed in above section Configure Aviatrix.